While we often post article alerts about new scholarship on garbage matters, I wanted to take a moment to re-visit Ellen Handy’s 1995 essay, “Dust Piles and Damp Pavements: Excrement, Repression, and the Victorian City in Photography and Literature.” First of all, thank you Ellen Handy for introducing readers to Thomas Annan’s enduring work (see “Dust Piles and Damp Pavements” on pages 111-133 in Victorian Literature and the Victorian Visual Imagination). Annan’s photographs exist as a stunning historical record for readers of Discard Studies. They bring us back to the Victorian streets of Glasgow, the most crowded city in Europe when he captured his images during the late 1860s and early 1870s. The photographs provide historical windows for us; through them we glimpse the back streets, courtyards, narrow passageways and dank alleyways that existed in the poorer quarters and slums of Glasgow. But what is missing in his work, as Handy points out, is the human excrement, the dungheaps, the stinking solid waste that so permeated these spaces. As much as “an unwholesome seeping moisture of unspecific origins is prevalent in Annan’s pictures” (Dust Piles and Damp Pavements 117), “Annan must have taken great pains to avoid including the dunghills in some of his compositions” (117). Handy argues that despite the ubiquity of human waste, certain artists and authors — Dickens included — practiced important “evasive strategies” that concealed or avoided what was ever-present. Historical evidence abounds testifying to how cities such as London had “back streets…strewn with human excrements” (F.B. Smith qtd. in Handy 112), yet the “refuse of those slums were seldom, if ever, apparent in literary or or visual artistic representations” (112). 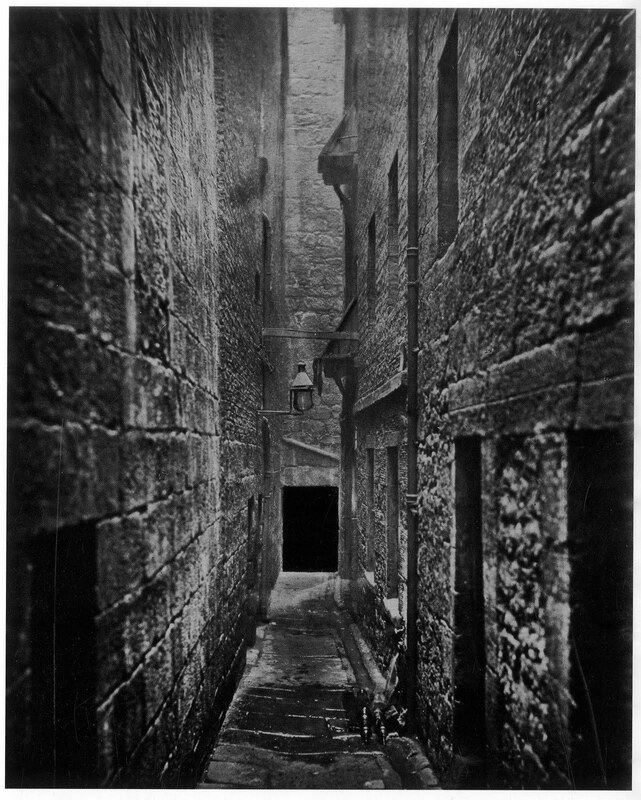 The English health reformer, Sir Edwin Chadwick describes the alleys that Annan photographed, noting how “the dungheap received all the filth which the swarm of wretched inhabitants could give” (qtd. in Handy 115). Handy wonders where the staggering quantity of human excrement went? Where were the towering dungheaps in the literature and photography of the era? Charles Dickens, writes Handy, referred to the mounds of organic filth as “dust.” He used “evasive, allusive terminology” (122). “Dickens,” argues Handy, “dessicated humid massy excrement through language” while “Annan diluted it through pictorial metonymy” (122). Both “transformed the unspeakable matter into other substances” (122). By concealing this important dimension of the human and animal filth of the cities, Annan and Dickens left us with incomplete records of the living conditions of the urban poor. This entry was posted in history, Human/Bodily, Urban, Waste and tagged Annan, Dickens, dung, dust, excrement, filth, Glasgow, history, Photography, slums, urban poor, waste. Bookmark the permalink.